Today, the U.S. House of Representatives voted to restore the Federal Communications Commission’s 2015 Open Internet Order and the agency’s net neutrality rules by passing the “Save the Internet Act” (H.R. 1644). Chairman Pai’s FCC repealed these rules in 2017, ignoring the millions of Americans who support net neutrality. Public Knowledge commends the House of Representatives for listening to the American people, who overwhelmingly support net neutrality regardless of party, and urges the U.S. Senate to quickly pass the companion bill (S. 682). Today, the House Energy and Commerce Committee marked up Chairman Mike Doyle’s (D-PA) bill, “Save the Internet Act,” (H.R. 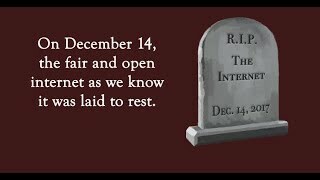 1644) to restore the Federal Communications Commission’s 2015 Open Internet Order, and the agency’s strong net neutrality rules. Public Knowledge supports passage of H.R. 1644 (and its Senate companion bill, S. 682), and commends Chairman Doyle and full Energy and Commerce Chairman Frank Pallone (D-NJ) for taking decisive action to restore strong net neutrality protections for consumers. Today, the House Energy and Commerce Committee, Subcommittee on Communications and Technology marked up and reported out Chairman Mike Doyle’s (D-PA) bill, “Save the Internet Act,” (H.R. 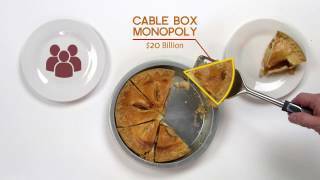 1644) to restore the Federal Communications Commission’s 2015 Open Internet Order that created the agency’s strong net neutrality rules. At today’s House Energy & Commerce Committee’s Communications & Technology Subcommittee hearing on protecting the Open Internet, Republican members announced they have introduced or will introduce several pieces of legislation aimed at prohibiting anti-competitive and harmful broadband-provider practices. While we await the introduced language on some of these bills, the content and context shared to date signals that they will fall far short of ensuring the Federal Communications Commission has the necessary oversight authority over broadband providers to protect consumers, promote competition, and close the digital divide. Today, Public Knowledge, as part of a broad coalition of petitioners, presented oral arguments demanding repeal of the Federal Communications Commission’s December 2017 Restoring Internet Freedom Order before the D.C. Circuit Court of Appeals. Public Knowledge filed as a petitioner.